The well type monometer is widely used because of having only one leg. 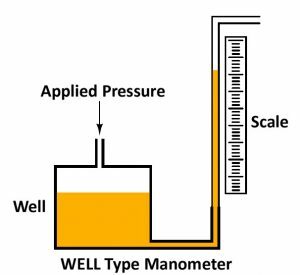 The main difference between a U-tube manometer and a well type manometer is that the U-tube is substituted by a large well such that the variation in the level in the well will be negligible and instead of measuring a differential height, a single height in the remaining column is measured. 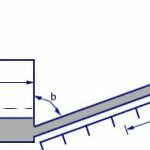 It consist of a large diameter vessel with one side connected to very small size tube, so that the zero level moves very little when the pressure is applied. 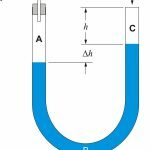 The area of well is much greater than the area of tube. In general this ratio is greater than 10. 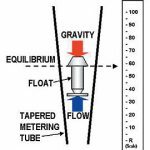 Accuracy is achieved by setting zero level of well at zero level of scale before each reading of table. The sensitivity of such monometer is good.